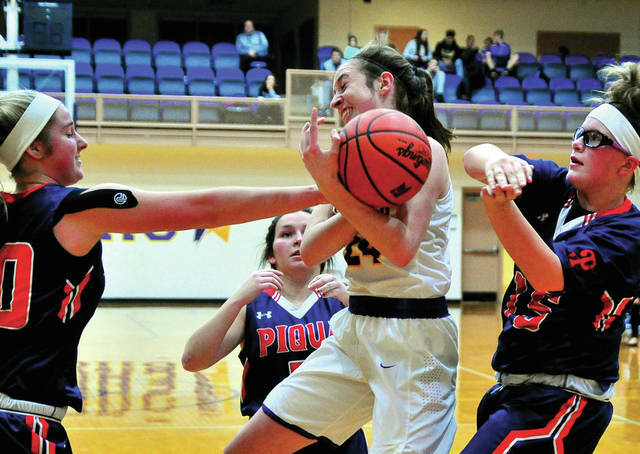 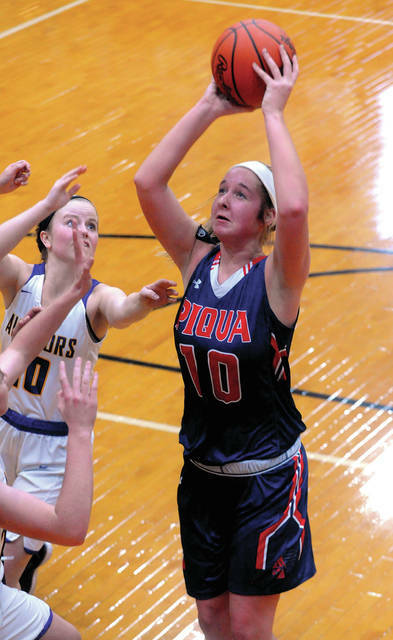 Piqua’s Tylah Yeomans shoots over Vandalia-Butler’s Ella Neely (12) and Evan Neely Wednesday. 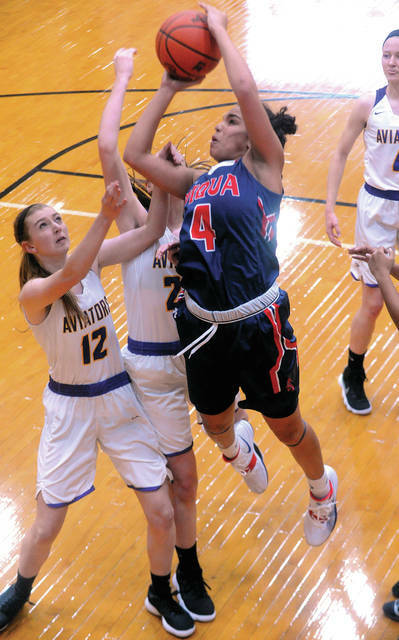 Piqua’s Izzy Kidwell goes up for two points against Vandalia-Butler Wednesday night at the SAC. 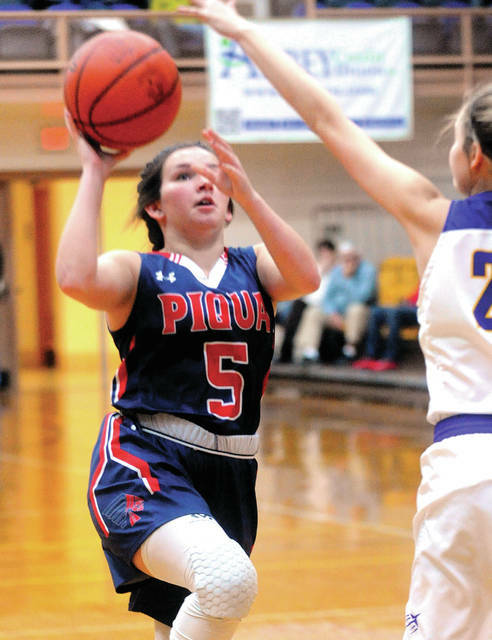 Piqua’s Aubree Schrubb gets off a shot Wednesday night. 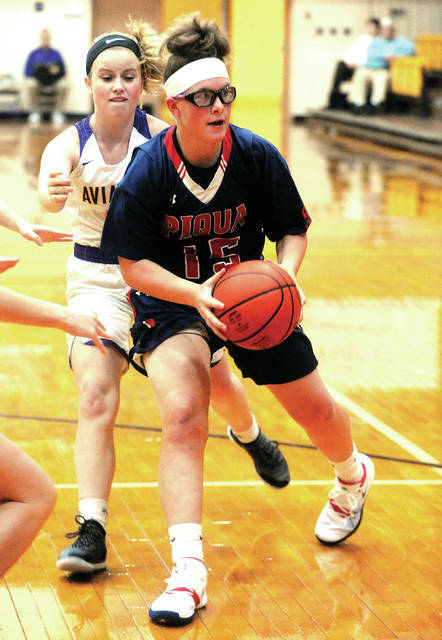 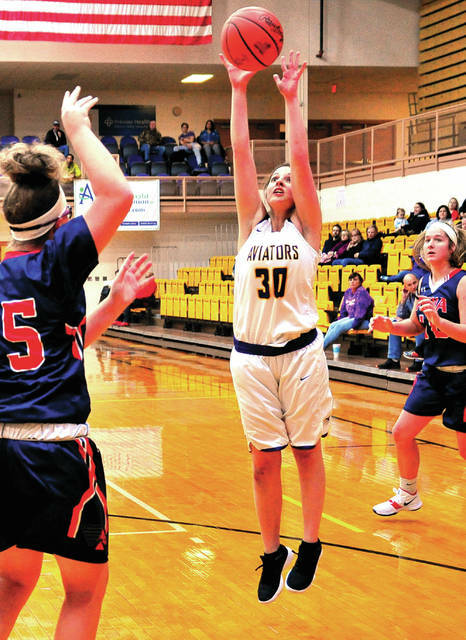 Piqua’s Karley Johns makes a pass Wednesday against Vandalia-Butler.